© 2017 Limbrick Wood Baptist Church, Faseman Ave, Tile Hill North, Coventry CV4 9RD. This website http://lwbc.org.uk contains copyrighted material, trademarks and other proprietary information, including, but not limited to, text, graphics, software, manuals, data, scripts, and content. All Content on http://lwbc.org.uk, including both displayed and undisplayed contents of source files and databases, is copyrighted individually and as a collective work under the United Kingdom copyright laws. Limbrick Wood Baptist Church owns a copyright in the selection, coordination, arrangement and enhancement of such Content, as well as in the Content itself. Limbrick Wood Baptist Church grants permission to use and reproduce textual Content from this site, including any accompanying graphics, provided that (1) Limbrick Wood Baptist Church’s copyright notice appears in all copies; (2) use of such Content is for informational and non-commercial or personal use only; (3) such Content will not be reposted to the Internet or any other commercial network or broadcast in any media; (4) graphics are used or reproduced only as integrated with the textual Content with which they originally appeared; and (5) no modifications of any Content are made. Such use or reproduction does not give any person other than Limbrick Wood Baptist Church any ownership or copyrights in the Content. Use for any unpermitted or unlawful purpose is expressly prohibited by law. Design, layout, and other elements of the website are protected by the law of passing off, trademark, unfair competition, and other laws and may not be copied or imitated in whole or in part. The above limited permission to use and reproduce Content does not include any permission to use or copy the design, layout, or other protected elements. Linked sites not within the http://lwbc.org.uk domain are not under the control of Limbrick Wood Baptist Church and Limbrick Wood Baptist Church is not responsible for the contents of any linked site or of any link contained in a linked site, or any changes or updates to such sites. Limbrick Wood Baptist Church is not responsible for any file or transmission received from any linked site, and provides these links only as a convenience, and the inclusion of any link does not imply endorsement by Limbrick Wood Baptist Church of the linked site. Limbrick Wood Baptist Church and its content suppliers make no representations about the suitability of any content for any purpose. All such content is provided “as is’ without warranty of any kind. 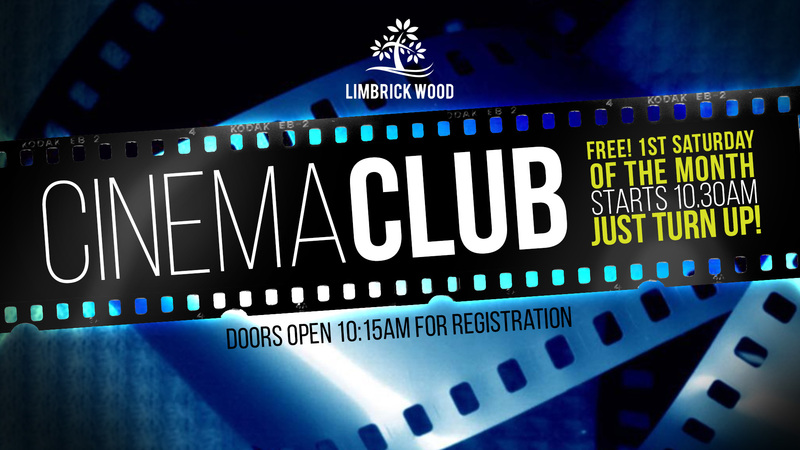 Limbrick Wood Baptist Church and its content suppliers disclaim all warranties and conditions with regard to this information, including all implied warranties and conditions of merchantability, fitness for a particular purpose, and non-infringement. In no event shall Limbrick Wood Baptist Church or its content suppliers be liable for any special, indirect or consequential damages or any damages whatsoever resulting from loss of use, loss of data or loss of revenues or profits, whether in an action of contract, negligence or otherwise, arising out of or in connection with the use of content available from this site or server. Content may include technical inaccuracies or typographical errors. Limbrick Wood Baptist Church or its content suppliers may make improvements or changes in the content, or in any of the products and services described herein, at any time. Because some locations do not allow the exclusion or limitation of liability for consequential or incidental damages, the above limitation may not apply to you. Nothing on this web site shall be construed as conferring any license under any of Limbrick Wood Baptist Church’s or any third party’s intellectual property rights, whether by estoppel, implication, or otherwise. As a condition of use of this web site, you, the end user, agree to indemnify Limbrick Wood Baptist Church and its content providers from and against any and all liabilities, expenses, including legal fees, costs and damages arising out of claims resulting from your use of this web site, including, without limitation, any claims alleging facts that if true would constitute a breach by you of these terms and conditions. A cookie is a small piece of information that tells a web site you have visited it before. This website sets a cookie in your web browser whenever you complete one of the forms that requests your personal information. The cookie is stored on your computer’s hard drive, taking up less than 300 bytes of disk space, and is used so that on future visits to the site information fields can be pre-completed. Only the Limbrick Wood Baptist Church website can read the cookie. It cannot read cookies set by other sites. Cookies save you time and help us to help you. We learn what is important to our visitors. This allows us to focus our efforts on the information you need. Much of the site can be accessed with cookies disabled. However, your visit will be enhanced if cookies are enabled. You can set your browser to notify you when you receive a cookie, giving you the chance to decide whether to accept it. Please see the “Help” menu for your browser.